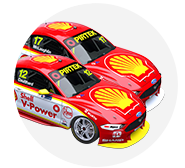 Scott McLaughlin slashed almost 0.8 seconds from Jamie Whincup’s two-year-old practice lap record in the final session before qualifying at the Supercheap Auto Bathurst 1000. The Virgin Australia Supercars Championship leader stamped his authority on Mount Panorama with a series of stunning laps in the 60-minute Practice 5. It took just over 10 minutes for Shane van Gisbergen to go below Dean Canto’s best from this morning with 2:05.2264s. Chaz Mostert then became the first to drop below Whincup’s practice lap record of 2:04.0907s set in the corresponding session in 2015 – the Supercheap Ford stopping the clocks at 2:04.7437s. 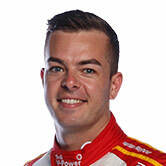 McLaughlin made his move just prior to the halfway mark, slotting to second after a small mistake in the first sector, before clocking 2:04.3578s the next time by on what his team soon revealed were 30km-old tyres. The Shell Ford then returned with new rubber to lower the benchmark to 2:04.2207s before pitting for set-up changes to settle a balance that McLaughlin described as “way too loose” across the top of the hill. McLaughlin’s final shot with 12 minutes remaining netted 2:04.1470s. He’d appeared set to dip into the 2:03s, but dirt on the track at the Chase after an off from Alex Rullo lost precious fractions. With 13 AMROR ALL Pole Positions already under his belt in 2017, McLaughlin is a red hot favourite to top qualifying later this afternoon. “It felt awesome. I’m pretty blown away to be honest,” he said. “On the first two sets it was a little bit twitchy and then on the last it was a bit better, but I just made a mistake on the second last corner. “It’s a good feeling… but I tell you what you’re holding on, Jesus Christ. Mostert improved late to secure second but was 0.5282s adrift of McLaughlin. “It’s been a tough lead-up to qualifying for us, we have been struggling in third practice and also today,” he said. “Finally got on top of it, we don’t know exactly what the issue is, we changed a bunch of things and the car feels back to being a good car. Nick Percat was third for Brad Jones Racing while Fabian Coulthard, Cameron Waters and Mark Winterbottom made it five Fords in the top six. Craig Lowndes jumped 12 spots to seventh as the chequered flag fell, while Scott Pye, James Moffat and Micahel Caruso rounded out the top 10. Todd Kelly sat third for much of the session before falling to 12th, almost a full second slower than McLaughlin. The Red Bull Holden Racing Team’s shaky start continued with Jamie Whincup and Shane van Gisbergen managing just 14th and 16th respectively. Thursday pacesetter David Reynolds was even further down the order, ending up 19th after a scrappy final run failed to yield an improvement from his earlier 2:06.5751s.